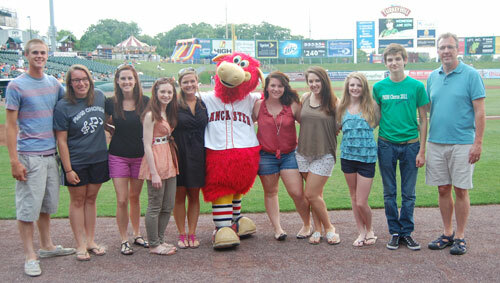 Monday, June 11 was Penn Manor School Spirit Night at the Lancaster Barnstormers game. Students, staff, Comet Classic cardholders, community members, and Barnstormer fans watched as Penn Manor Superintendent Dr. Mike Leichliter threw out a first pitch. The Manor Singers performed the National Anthem and posed for a picture with Cylo!